The Theatre of Tennessee Williams brings together in a matching format the plays of a genius of the American theatre. Arranged in chronological order, this ongoing series includes the original cast listings and production notes. Leading off Volume 5 is The Milk Train Doesn’t Stop Here Anymore (1964), a play that explores the tenacity of the human body and spirit when confronted with death. The more light-hearted Kingdom of Earth (The Seven Descents of Myrtle) was first produced on Broadway in 1968: the text offered here incorporates changes the author made for its 1975 revival. 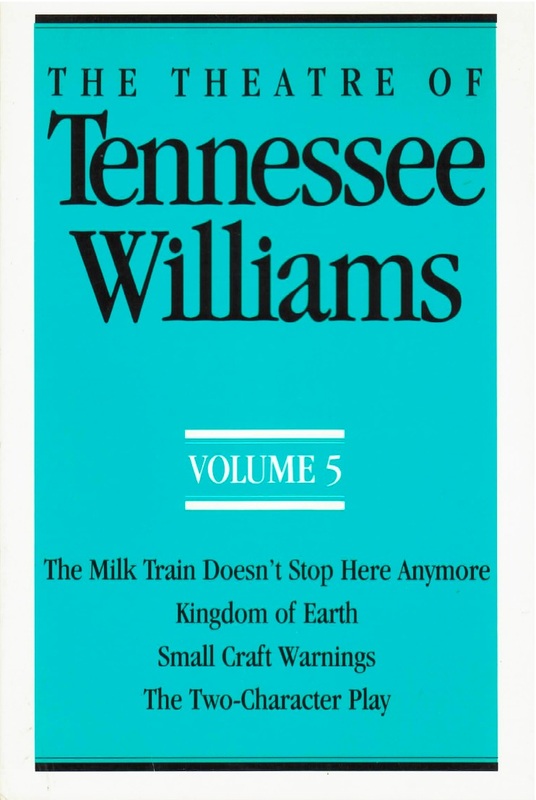 Small Craft Warnings (1972), one of Williams’s more searching works, is based on one of his shorter dramas, “Confessional,” published in Dragon Country (1969). The volume concludes with The Two-Character Play (1975), the author’s reworking of his earlier Out Cry (1973).